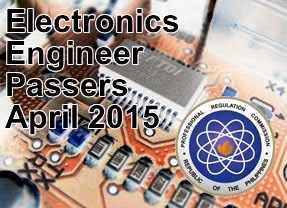 The table below contains the list of top 10 passers for the April 2015 Electronics Engineer Licensure Examination. There are actually 12 passers because two passers are tied at rank 1 and 8. Please refer to the list below for more details.